The North Dakota Center for Nursing will award 12 nurses with the fourth annual Legendary Nurse Awards, Thursday, October 25, in Mandan. The awards will be presented at the North Dakota Center for Nursing’s Fourth Annual Research Conference, held at the Baymont Inn & Suites in Mandan. Winners of the award were nominated by their peers from across North Dakota. 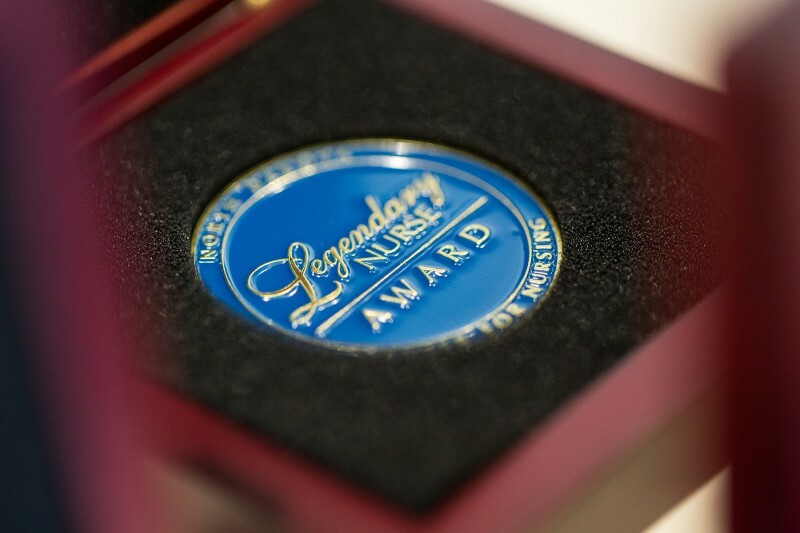 The Legendary Nurse Award was created in 2015 to honor nurses who have made significant contributions to the nursing profession in North Dakota. The awards were first presented at the 100th Celebration of Nursing Excellence at the North Dakota Heritage Center in 2015. Demonstrates exceptional leadership (either in a formal or informal role) in either their place of employment or in a non-profit or nursing organization. Demonstrates excellence in teaching, engaging students in the love for nursing and supports student growth. A nurse in the first two years of practice that exhibits leadership and professionalism in their field of nursing. Excellence in the promotion and utilization of evidence based practice principles in the pursuit of clinical excellence. Excellence in promoting nursing research through facilitation of research or conducting evidence based practice, quality improvement, nursing or education. Excellence in encouraging and supporting nursing student education through clinical precepting or organizational orientation for nurses transitioning from student to professional practice. If you would like to attend the celebration, click here to register. Multiple registration options are available. Members of the media are invited to attend the Research Conference and Legendary Nurse Awards Banquet. The ND Center for Nursing was created in 2011 as a centralized coordinating organization for North Dakota’s nursing community. The mission of the North Dakota Center for Nursing is to guide the ongoing development of a well-prepared and diverse nursing workforce to meet the needs of the citizens of North Dakota through research, education, recruitment and retention, advocacy and public policy.